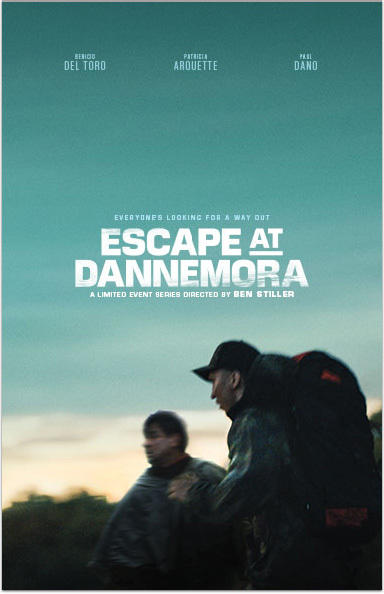 Benicio Del Toro, Patricia Arquette, Paul Dano and Bonnie Hunt star in ESCAPE AT DANNEMORA, a SHOWTIME® Limited Event Series directed and executive produced by Ben Stiller. Based on the stranger- than-fiction prison break in upstate New York, ESCAPE AT DANNEMORA follows the story of two convicts who spawned a statewide manhunt and were aided in their escape by a married female prison employee who became involved with both men. It’s a bizarre tale filled with twists and turns, yet through it all there’s one thing that unites the inmates and citizens of Dannemora – everyone’s looking for a way out. Escape at Dannemora © Showtime Networks Inc. All rights reserved. SHOWTIME and related marks are trademarks of Showtime Networks Inc., a CBS Company. You must be a subscriber of SHOWTIME to receive SHOWTIME ON DEMAND.